Dimensional Colors features original handmade copper enamel art, along with many styles and colors. Available products are all copper enameled: decorative switch plate covers, decorative outlet covers, and pendants. All enamel switch plate covers are handmade and fired by the artist. 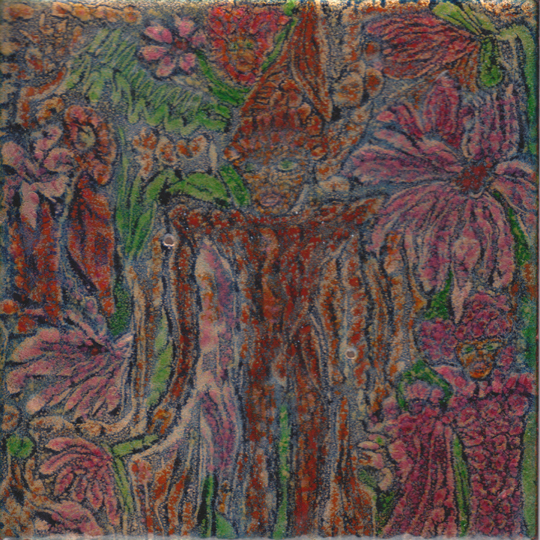 The art has a hand painted look, but is achieved with powder enamels, not vitreous, or liquid form. Rich, lustrous colors are achieved via color combinations and multiple firings. The art switch plate covers are complex and time consuming to create, but there are a number of less complex switch plate cover styles shown on the Styles page. The Styles page only exhibits single switch plates from which any switch plate cover size and configuration you may need can be ordered,( up to the triple size). Enhance your surroundings with these distinctive, heirloom quality, decorative switch plate covers. In addition to the visual, one can feel the ripples created by the design; don't just use your switch plate covers, experience them. The switch plate cover screws are enameled to blend in. 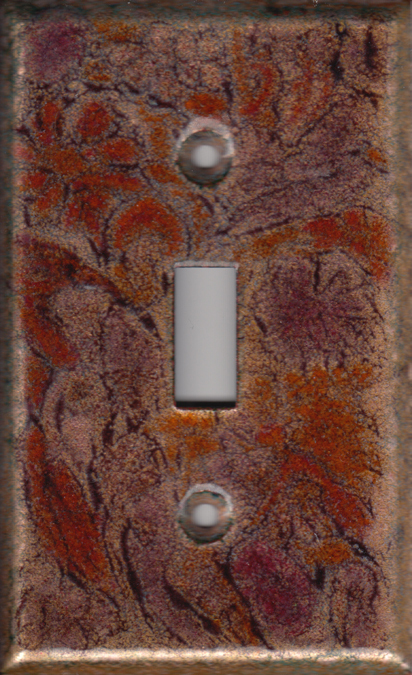 The machine stamped solid copper switch plate covers used as the base are UV rated. Thanks for visiting. There are many different looks for he enamel switch plate covers shown at Dimensional Colors. Email for custom switch plate covers and custom color inquiries. The best way to see my full selection of decorative switch plate covers, enamel tile and art pendants is to visit me near Sequim, Washington, at the Port Townsend Farmers Market. check 1 of 3 in fo boothes for location.